instrument | What? Why Bother? Saxophone! Don’t Kill The Piglets! This will not come as news to my neighbours, but I have started to play my saxophone again. It is one of those instruments that only works at loud volumes. Luckily for them, I don’t have enough strength in my jaw to play for more than five minutes before the muscles give up and it sounds like I’m murdering piglets, and I have to stop. I am teaching myself to play, so it’s taking a while, and i hadn’t picked it up for almost a year before last week. I am slightly put off by just how loud it is, and that everyone in a 2 mile-radius can hear the squeaks and howls when it goes wrong. 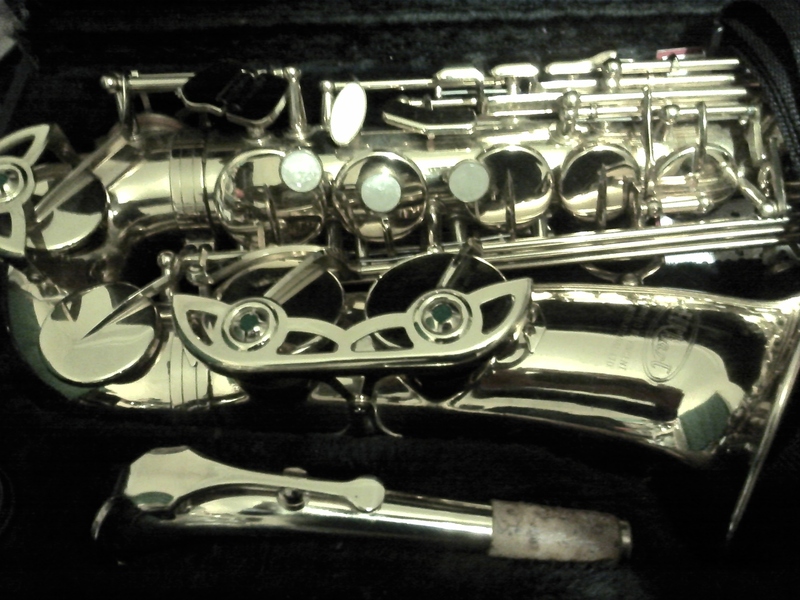 The saxophone might look fiendishly complicated, but it’s not nearly as bad as it looks as if it might be. But it’s hard enough.